The following article was published in January of 2002 in Greece and gives a brief yet interesting analysis following the conclusion of the first season of the Greek version of the popular television reality show Big Brother, which aired in the fall of 2001 and in the U.S. is shown every Summer. 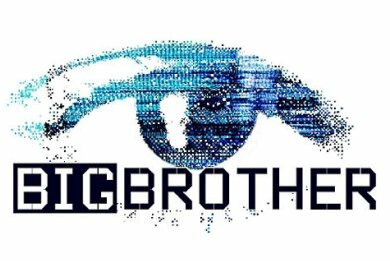 The "television game show" Big Brother which was aired as a "reality show" and considered a risk to a known television channel has now completed. There have been many reviews by accredited journalists and other scholars on the new phenomenon, which, of course, we are not going to mention here. Before the "game" began, we pointed out some things associated with it. Now, however, in light of the criticisms that were heard and the various comments, we wanted also to highlight the following precipitation of messages Big Brother conveyed to the Greek television audience. First, it undermined the Greek Orthodox family, because it gave off the message of coexistence in the same house of many young people of both sexes. It is an example/model that many couples can cohabit together in the same place and have a good time, since society tolerates it. Thus it negates the duality of relationships. Then, it gave an example of isolation from society, thereby limiting human thought, since there was no information from the outside world, with very informal conversations with meaningless content. It is a peculiar form of dictatorship, when they were speaking of a "Big Brother Democracy", because "it depicts all behavior and emotions, the subtle strangulation of critical thought, that control and boredom are constituent elements of this parody democracy, which is not imposed with a weapon, but seems to be a product of free choice" (Marianna Tziantzi, Kathimerini, 12/30/2001). Further, it broadcasted the viewpoint of living with the fact that someone or some people are watching you at any moment in time. This implies a trivialization of the person and everything they entail. Because surely this feeling in the beginning creates fear of the unknown television audience, but then it creates a certain boldness. In this way someone learns to live without shame in their personal life. And we know from various analyses that these personal, special relationships between the two sexes, when exposed to public view, lose their personal character, and are perceived as sleazy relationships. And it also even develops the psychological and spiritual illness of voyeurism, with terrible consequences for those who see these images and for those who are "playing". Important is the observation that the "stars" of this kind of program "can be considered the first public demonstration of the 'humanoid' type who seeks to produce power: a humanoid or mass-man" (Cleanthe Grivas, Eleutherotypia, January 7, 2002). Finally, from the ecclesiastical point of view, that which troubled me was the problem of self-excommunication. While those involved in the "game" were baptized Christians, they self-excommunicated themselves from the church community for over three months and cut themselves off from the possibility of church attendance, even on Christmas day. Of course someone can say that whether it be in this way or another way, they would not go to church anyway, like others. But this is not a reason for pardon. According to the holy Canons, whoever does not attend church for three consecutive Sundays cuts themselves off from the Church. And this fact shows the great problem of the secularization of ecclesiastical life. Eventually we should not be very concerned with big brother as much as we should with big Father, that is, our Father who dwells in the Heavens, who controls everything and sees the secrets of our hearts, which will be revealed before all at the Second Coming. We should also be concerned with how we can be children of the Grace of this heavenly Father. And if we put ourselves under the spiritual guidance of the great Fathers, who had an illumined nous, then we will become brethren of our great brother, Jesus Christ, and of course "fellow citizens of the saints and of the household of God." Source: Ekklesiastiki Paremvasis, "Big Brother ή Big Father;", January 2002. Translated by John Sanidopoulos.